The POM Gear Pro2Go Sport will enhance your overall musical experience wherever life take you. Modeled after the original Pro2Go P100, but designed with the athlete in mind, these in the ear wireless earbuds are engineered to pay your music with superb sound and style. 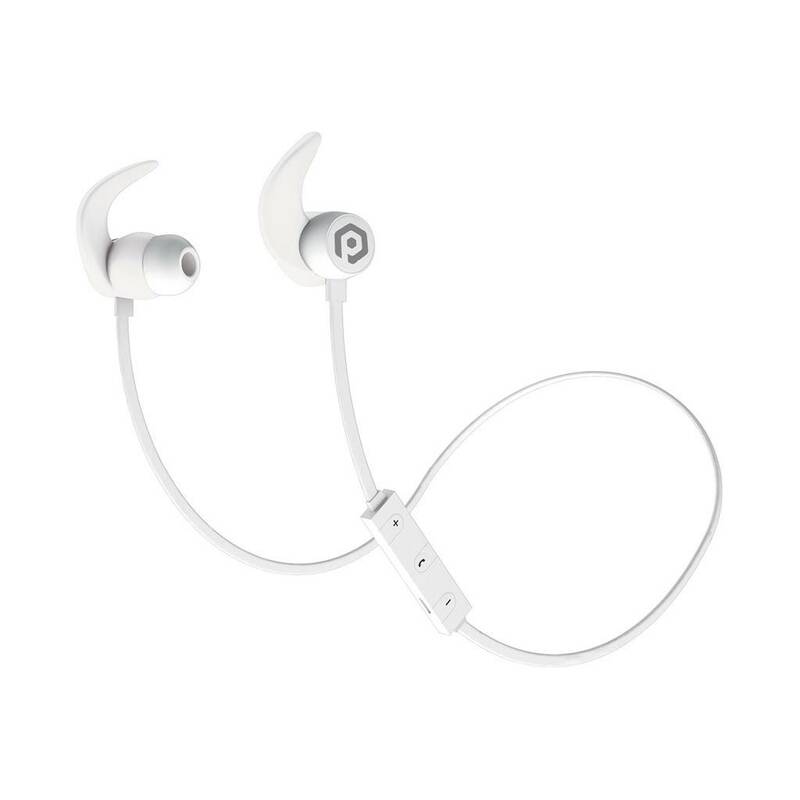 The unique shape of the Pro2Go Sport earbud, equipped with removable ear hooks, ensures for secure placement and clear sound to keep you motivated during your most intense workouts. Built with noise-cancelling buds and a long-lasting rechargeable battery, the Pro2Go. 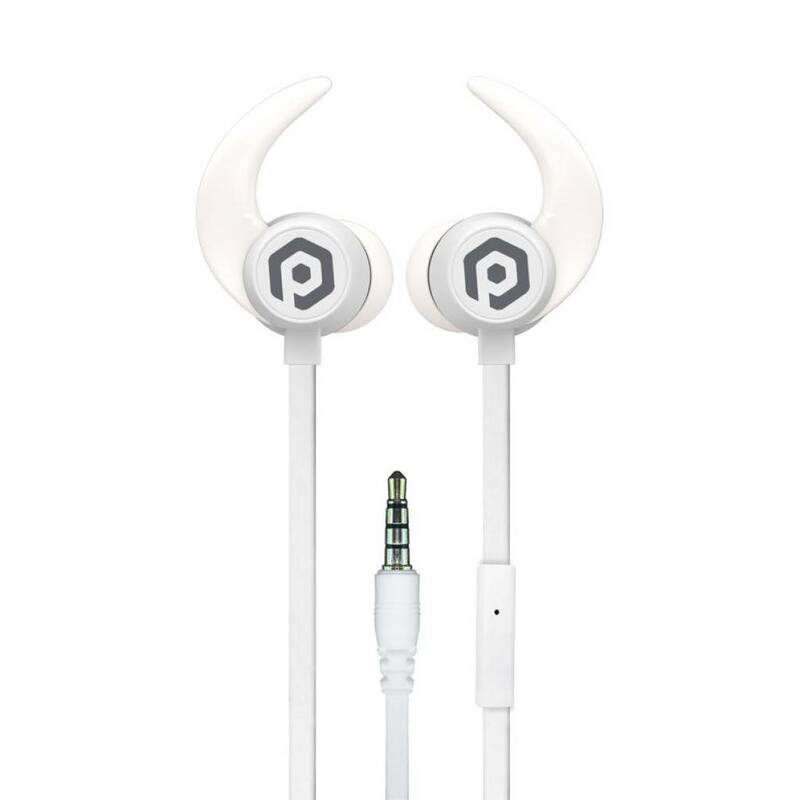 Pom Sport allows you to listen to your music, on-the go, in the most enjoyable way possible. These headphones are sweat and weather resistant so you don’t have to be afraid to get down and dirty. 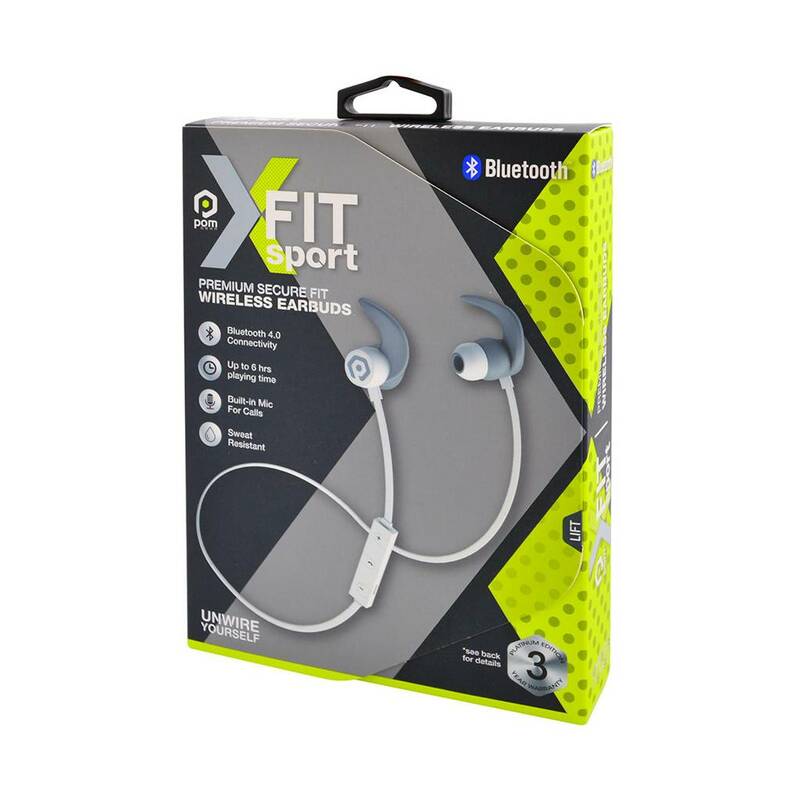 Of course you can also use your Pro2Go Sport to make hands free phone calls by using the devices simple voice prompts, intuitive controls and clearly marked buttons.The Pro2Go Sport is the perfect pair of Bluetooth headphones for anyone who enjoys great music, exercise and most of all convenience. Bluetooth 4.1 For a quick & secure one touch pairing with long range connectivity. Multi-function controller buttons; to adjust volume, change tracks, take calls. Noise reduction earphone to drown outside noise. Play up to 6 Hours with rechargeable in-build battery. Voice prompts to setup Bluetooth pairing & receive notifications. 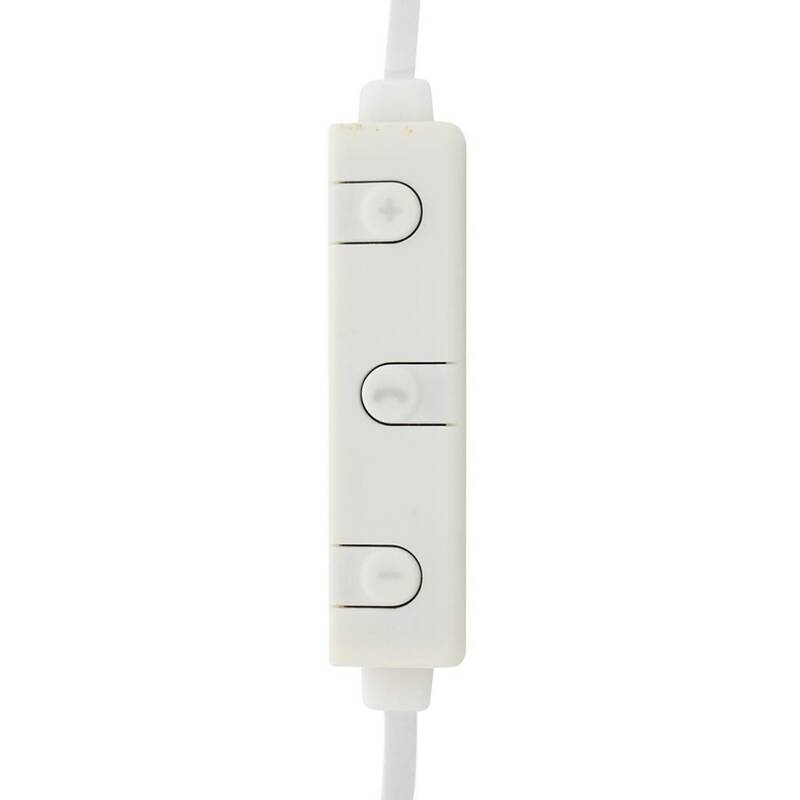 Flat cable provides tangle-free use.